A bear mauled the convertible top of an original Shelby Cobra over Saturday night in search of cookies. The Cobra's owner, Tom Cotter of North Carolina, was on a road trip in Alaska with three friends that also own Cobras, according to KTUU. The quartet stopped for the night at Alyeska Ski Resort, where one of Cotter's companions accidentally left an open package of Fig Newtons behind the seat. Some time in the night, a bear caught the scent of sweets, which it tracked to the Cobra. A one-sided fight between the bear and the Cobra's convertible top ensued. The Cobra lost. Whether the bear successfully retrieved the Fig Newtons was not reported. Cotter was informed of the incident when one of his friends went out to the parking lot in the morning and returned urging Cotter to examine his car. 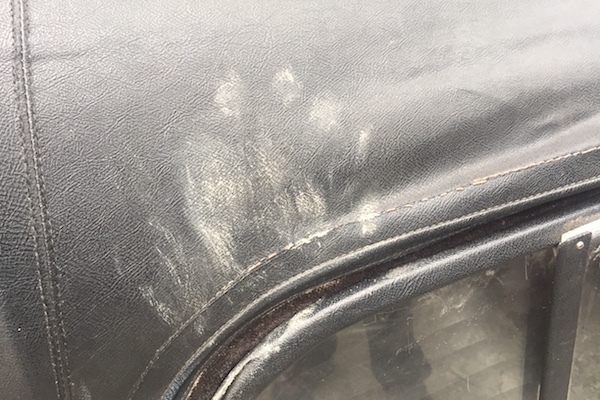 Cotter walked out to a scratched-up Cobra, coated in muddy paw prints, and with a considerable rip in the car's original roof. As the affected Cobra is a highly valuable original, and not a replica or continuation car, Cotter stated its value to be "approaching seven figures," but expressed gratitude that its pricey aluminum bodywork went relatively undamaged, and that most damage was limited to the roof. "The top was 53 years old. It managed to survive all these years, but it couldn't manage to survive 11 days in Alaska," Cotter told KTUU. "My car has a unique story that no other Cobra has in the world." 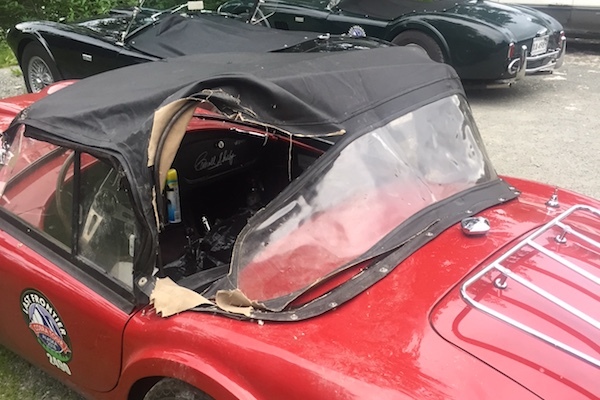 The Drive contacted Shelby American for information on the availability of replacement roofs and whether this incident is likely to affect the Cobra's value, and we will update when we receive a response.